"As a consequence of new innovative, value-added solutions that are being introduced in the market, we are seeing an ever-increasing demand for higher speeds and more bandwidth. DOCSIS 3.1, by the inherent nature of the improved technology, is much more efficient than the earlier versions of the DOCSIS technology." COLOGNE, Germany - June 12, 2018 - PRLog -- ANGA COM 2018 – In today's hyper-connected world, consumers across all geographies and social strata are looking to their cable providers for reliable, affordable, and high-bandwidth Internet connectivity. 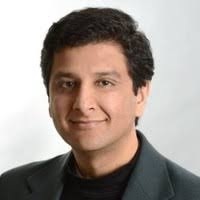 That trend heralds a great opportunity for cable providers, but it comes with a challenge: operators are under tremendous pressure to make necessary investments in their infrastructure, says Ashwani Saigal, vice president of broadband access product development in Technicolor's Connected Home division, in a podcast interview for journalists. In a market driven by white-hot demand for high-speed Internet and over-the-top (OTT) services, the new DOCSIS 3.1 standard is poised to give cable operators the means of satisfying consumer demand for ultra-broadband services. "As a consequence of new innovative, value-added solutions that are being introduced in the market, we are seeing an ever-increasing demand for higher speeds and more bandwidth," Saigal says. "DOCSIS 3.1, by the inherent nature of the improved technology, is much more efficient than the earlier versions of the DOCSIS technology," he adds. The ability for cable operators to provide consumers with hundreds of megabits of additional bandwidth on the current spectrum. DOCSIS 3.1 gives service providers much higher capacity over networks that were already 100 percent utilized by enhancing channel bonding technology. DOCSIS 3.1 delivers additional innovation on the network's physical layer, including robust and effective detection and recovery from error conditions. "Given these three key benefits of DOCSIS 3.1 technology, the operators today are much better positioned to offer higher speeds and more reliable bandwidth to the end consumer. This will allow subscribers to access new services and receive a higher quality of experience from existing services," Saigal says. However, to fully utilize the advantages that DOCSIS 3.1 technology brings to the table, cable operators must ensure that both the network infrastructure -- which includes the CMTS, the nodes, as well as the amplifiers -- and the customer premises equipment (CPE) can support the newer technology standards. "Once the necessary investments are made, consumers can benefit from speeds of up to 10 gigabits per second in the downstream and 2 gigabits per second in the upstream," Saigal says. Technicolor is engaging senior leaders, influencers and decision makers at major cable operators, to not only highlight the value proposition of DOCSIS 3.1 technology, but to also bring to their attention Technicolor's differentiated offerings that can help them achieve their business goals. "Technicolor provides technology, training, and services to help cable operators transition from their existing deployed base of DOCSIS 2.0 and 3.0 to DOCSIS 3.1. We do this by sharing with them best practices gleaned from MSO projects we have supported throughout the world," Saigal concludes.